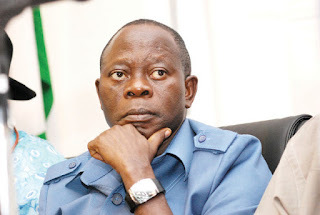 The Economic and Financial Crimes Commission, EFCC, has provided reasons it cannot arrest and prosecute former Governor of Edo State, Adams Oshiomhole now. The anti-graft agency is challenging the jurisdiction of the Federal High Court in Abuja to compel it to arrest and prosecute Oshiomhole, over allegation that he diverted public funds to his personal use while in office as governor. accusing the All Progressives Congress, APC, National Chairman of complicity in acts of corruption, but added that it was not under any obligation to report or give account of its investigations to any individual or under a timeline within which to carry out its functions.